Before little Chick came along I had a thing for big dogs. While I’ve learned how fun small dogs can be, I still get giddy with giant pups that more closely resemble moose (thank you Fray and Gin). But I was not prepared when I saw this gentle giant. 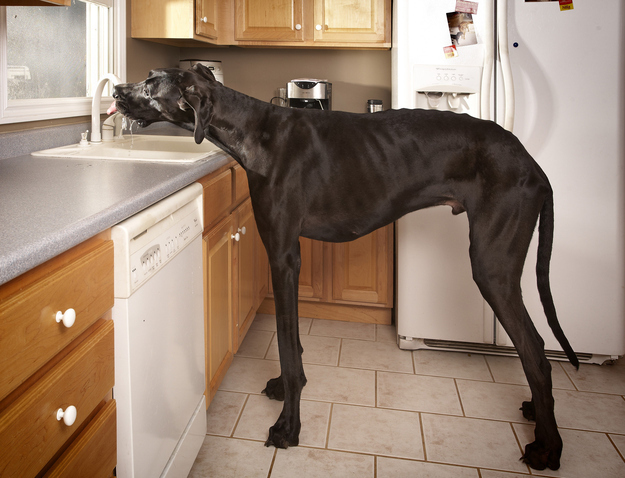 This big guy named Zeus is officially the tallest dog in the world, according to the Guinness Book of World Records. 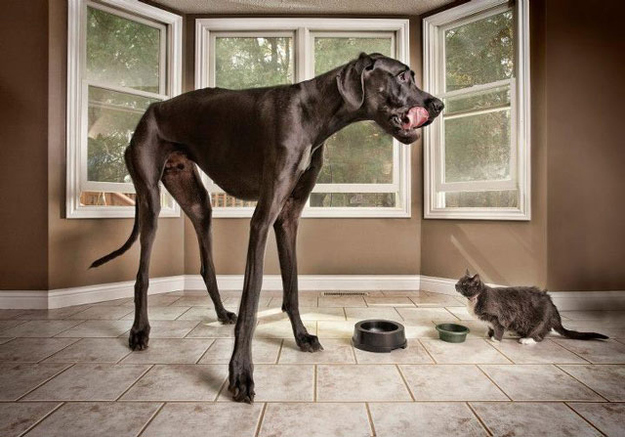 When standing on his hind legs, he measures over seven feet tall. Kind of ridiculous, no? He does resemble a moose… and he’s so cute! OMG this dog is absolutely GIANORMOUS!!!!! !